Market declines often lead to attractive buying opportunities. 1. 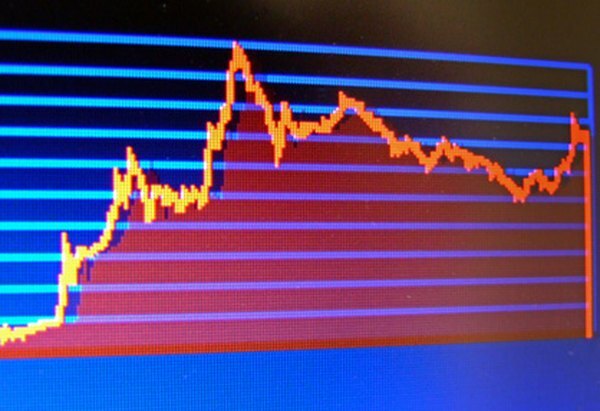 Why Do Stock Prices Drop? 2. Are Airline Stocks Cyclical? 3. What Influences the Stock Market? The main factor driving stock prices is investor demand. Stock prices rise when buy orders outnumber sell orders, and prices decline when sell orders outnumber buy orders. Demand is proportional to four factors: earnings, economy, expectations and emotion. Stock prices usually rise when all four factors are positive and fall when all four are negative. Stock prices are volatile because these factors change frequently. Publicly traded companies typically report earnings about three weeks after each quarter end. Investors punish the stocks of companies that cannot meet their own projections or the consensus estimates of research analysts. Stock prices generally rise when companies meet or exceed published estimates and provide optimistic guidance about upcoming quarters. Investors are often willing to pay a premium for companies that can demonstrate above-average earnings growth and cash flow. The reaction on the downside can often be harsh. The markets can cut stock prices in half or more when companies fall short of expectations, even by a few percentage points. The economic factors that drive stock prices include interest rates, unemployment and currency fluctuations. The U.S. Federal Reserve raises short-term interest rates to control inflation. Higher rates mean higher borrowing costs for individuals, who cut back on non-essential spending, and higher interest expenses for businesses, which reduce payroll and other operating expenses. Rising unemployment leads to further revenue and profit declines for companies, and stock prices suffer. However, if the Federal Reserve lowers rates to stimulate economic growth, consumer spending and business investment resume. This leads to a virtuous circle of rising revenues, profits and stock prices. Currency fluctuations affect exports and imports. When the U.S. dollar weakens against foreign currencies, exporting companies do well because American goods become cheaper. However, importers face higher costs and consumers may have to spend more on energy and other imports. Conversely, imports are cheaper and exports are more expensive when the U.S. dollar strengthens against other currencies. Stock markets tend to look ahead six months or more. The stock prices reflect expectations about everything from revenues and profits to election outcomes. Companies usually provide some guidance on their expectations for upcoming quarters. Research analysts use this information, among others, to publish guidance on expected earnings and target price ranges for hundreds of companies. Stock prices also factor in expectations about global economies, because many companies rely on overseas markets to drive revenue growth. Basic human emotions, such as fear and greed, also affect stock prices. An unsubstantiated rumor about a revenue slowdown could lead to a sharp sell-off in a company's stock, just as speculation over monetary easing can result in a euphoric rally. These sharp price swings usually have nothing to do with the underlying fundamentals of individual stocks or even of entire industries. Experienced investors ignore these periodic market tantrums because they know that the underlying business fundamentals are going to determine long-term price trends.